Considered as myth, or, better yet, as a test of the soul-music auteur theory, the career of George Soulé might seem like a triumph of the sideman, a shadow achievement. Although he's highly regarded as a songwriter, his best-known performance finds him singing and playing drums on African-American songwriter George Jackson's "Get Involved." A top-40 R&B hit in 1973, "Get Involved" became a rallying cry for black Americans in that year of Richard Nixon, and Soulé, a skinny white guy from southeast Mississippi, got a call to play the Apollo. Born in Meridian on Nov. 12, 1945, Soulé started out as a disc jockey, soaking up pop and R&B. Like nearly every southern music fan of his generation, he listened to Nashville's WLAC and its advocates of soul, DJs Hoss Allen and John R. In 1965, he appeared on the pop-music television show, Shindig, along with Ray Charles, and sang a number called "I Love the Way You Love" (Soulé's mother grew up with the president of the network, ABC, hence young George's appearance). Soulé signed with Nashville's Acuff-Rose Music in the mid-'60's, and got his first cut, "Someone," recorded by Sue Thompson. Moving first to the new Malaco Records in Jackson, Miss., and then to Muscle Shoals, Ala., where he worked with producers like Rick Hall and Don Davis, Soulé made his reputation as a songwriter. 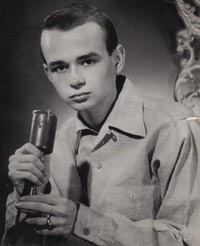 Often working with Paul Davis or Terry Woodford, he wrote hits for Brook Benton ("Shoes"), Percy Sledge ("I'll Be Your Everything") and Carl Carlton ("Can't Stop a Man in Love"). A good drummer and even better singer, he played on sessions in Jackson and Muscle Shoals, backing up everyone from Willie Nelson to Swamp Dogg. Last year, George made his first full-length recording, Take a Ride. Recorded in Nashville with producers Mark Nevers and Jeb Loy Nichols, it reprises Soulé's classic songs, adds a few new compositions, and proves the singer a first-rate interpreter of material like Greg Cartwright's "Wait and See" (the Oblivians and Reigning Sound guitarist plays on the record, along with session musicians Tony Crow and Brian Kotzur). These days, George writes songs, plays the occasional show, and works at the Golden Moon Casino near Philadelphia, Miss. He's back at home in Meridian, but plotting future glory. PSF: Were your parents musical? GS: My mother (is), her maiden name was Eileen O'Rorke, and she sang in a dance band in a hotel, the Markham, down on the Gulf Coast in the Gulfport area, a long time ago. The mother's side of my family is the musical side. I had an aunt who played the devil out of a piano. PSF: What about your father? He ran the family business, the Soulé Steam Feed Works, correct? PSF: So you learned how to play drums when you were fairly young? GS: My dad bought me an old, used set of drums when I was eight, and my Aunt Helen--my mother's sister--sorta taught me how to do the bass drum, to syncopate the bass drum. She played a lot of the old ragtime stuff, and you could still syncopate it. PSF: You were working in a local radio station, WOKK, when you got your first song cut. GS: Right, a guy named Richard Cherry, who's still here in town, a car salesman, he and I wrote "Someone" in the living room of this house. We cut four demos, and "Someone" was one of them. We made an appointment to see Wesley Rose. The way I got in was that Hickory Records' promo people were callin' all the time for product. They needed airplay, and that's how I got to know them. I remember going into Mr. Rose's office and playing the demos. When he got to "Someone," he backed it up and started it up and listened to it again all the way through, puffing on his pipe. And he said, "I like this song, and I want to cut it on Sue Thompson," and my jaw dropped. Because it's a business of rejection. PSF: How well did "Someone" do? GS: The record didn't do anything. But it was covered by Frank Ifield, Etta James and Floyd Brown. PSF: And you signed an exclusive contract with Acuff-Rose publishers in Nashville. GS: I signed an exclusive contract for zilch. I didn't know anything about the music business. I was exclusive to them, but I wasn't getting a draw. What I did have was, every time I could get off and go to Nashville, I could go in the back door [at Acuff-Rose] and just hang out, and it was great. Roy Orbison would be there, and Don Gibson. That was the new Acuff-Rose, on Franklin Road. I was invited to the grand opening, and got in all kinds of trouble with the bar and fooling around with the ladies. I met everybody, and I was just about twenty years old. PSF: You went to Malaco Records in the late '60's. The label leased a lot of singles in those days--how did that work? GS: What [Malaco founder] Tommy [Couch] and I did, we would try to find vocalists who would record singles. We did Eddie Houston's "Simon Says," and Eddie also had a success with "That's How Much (I Love You)," which he wrote, and which got leased to Capitol. After that, we cut ten different artists, had twenty sides on 'em, and went to New York. We checked into the hotel on a Monday, and I can remember how pissed I was at Tommy, because he said, "Now you need to use your radio voice and get on the telephone, and call all the labels," and I said, "You mean we came to New York, and we're sittin' here at the hotel, and we don't have any appointments?" So I put on my radio voice--"This is George from Malaco, we've got some masters"--and told one of them we were from Mississippi, and the woman said she didn't want any of that. By Wednesday, the telephone started ringing off the wall. We got into ABC, and Scepter, Metromedia. I remember we got into all but Buddah/Kama Sutra. PSF: When you moved to Muscle Shoals, you did a little of everything. GS: I wasn't exclusive as a musician during that time; I'd sing scratch vocals for Don Davis, who produced Johnnie Taylor when he would come down. Taylor was always out on the road, so Don would call me. He used to call me Frankie, 'cause I'm so skinny. You know, from Sinatra? PSF: What was it like backing Swamp Dogg? GS: He was, at that time, a little nutty. But it's my understanding he's married now--I think he married a preacher. [ED NOTE- Dogg actually married a doctor last November] He was like, wild to work with in the studio, and when I say wild, it was like a marathon. I'm a little bit more of a perfectionist, and I don't like to cut so fast, but we would just do one thing after another. I don't know, he just went fast. PSF: Was "Get Involved" initially a George Jackson demo? GS: Yeah, George liked me to sing on some of his tunes, and we were at Studio B, at Fame. George was still living in Memphis, so he and his crew came down, everybody got chord charts, I went in the drum booth, and we cut the track. Later, I went back and did the vocal on several tunes, and "Get Involved" was one of them. Rick [Hall] decided it was a good thing, so he finished it, added congas and horns. He wasn't satisfied with the original vocal; in fact, if you listen to that record real close, you can hear the original vocal bleedin' through a guitar mic, because I was singing so hard. Rick made me recut the vocals, like eight hours. It was worth it. PSF: Are you happy with it now? GS: When I listen to it, I'm sounding over-black, for a white guy. I mean, the Take a Ride CD is me. "Get Involved" was Rick. But when I did the demo of "Get Involved," I could understand what George was sayin'. He said, "Give me a good thing on it, 'cause you're my favorite black singer." PSF: Do you consider yourself a "country soul" singer? GS: Well, I think that George Jones is the most soulful country singer I've ever heard. I think that Ray Charles' soul and George Jones' soul are equal. As far as using the term, I don't know what country soul is. PSF: So, what kind of singer are you? GS: I'm whatever anybody says I am. NOTE: In addition, Swamp Dogg adds this about George: "I love me some George SoulSoulé; a great drummer,superb songwriter and a loyal friend. I have a Brooks O'Dell CD being released on ACE, on which George played all of the drums and wrote a couple of the songs. He may have sung some background. He's a genuine guy."